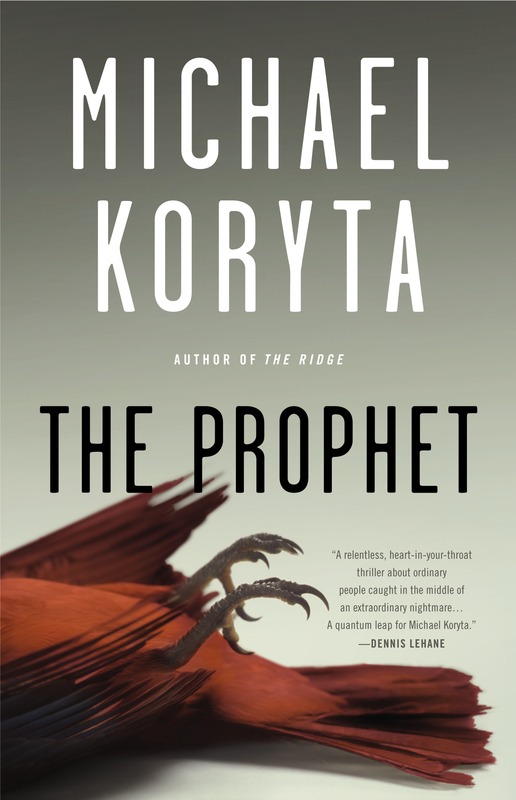 The Prophet by Michael Koryta is both a departure from and a return to familiar territory for the author1. Koryta’s first three books with Little Brown have slanted toward the paranormal2. While the protagonist in The Prophet does, indeed, speak to the dead, the dead do not respond. This novel relates much more closely to Koryta’s mystery roots. The Prophet takes place a small northern Ohio town on the banks of Lake Erie where estranged brothers Adam and Kent Austin both play an unwitting role in the death of high school senior Rachel Bond. Cold-blooded murder and high school football intertwine in a story that will come to define both the community and the individuals involved. The mystery drives the plot of The Prophet forward, but Koryta’s rendering of the differences between each brother and how they cope with death, guilt and shame, is the soul of the novel. The prose is well-rendered, presented with a depth rivaling and many times surpassing greats of the genre like Michael Connelly and Laura Lippman. Koryta clearly understands his characters and inhabits them as if they are truly independent and vibrant souls rather than mere constructs of his imagination. At a mere thirty years old, Michael Koryta writes with an understanding and empathy beyond the allowance found in most of us with a similar level of experience. 1. Michael Koryta is someone with whom I have a personal relationship. As such, certain biases will be represented in this review, regardless of my attempts to exclude them. 2. Koryta’s 2010 book So Cold the River along with 2011’s The Cypress House and The Ridge are great novels whether the reader is a paranormal aficionado or not.